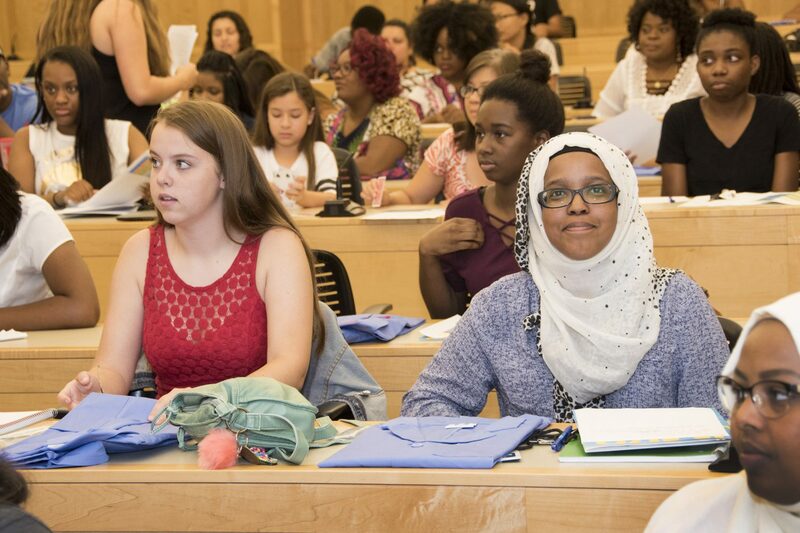 High School students from throughout Kansas City took part in an orientation session for the 2017 UMKC School of Medicine Summer Scholars program on Friday, July 7. July at the UMKC School of Medicine is a time for high school students to immerse themselves in the school’s annual Summer Scholars Program. The activity has been providing opportunities for minority and disadvantaged students in the Kansas City metropolitan area to get a head start on a potential career in health care for 37 years. This summer’s class is the largest ever with 78 students signed up to take part, nearly 30 more students than a year ago. Darius Jackson serves as coordinator of the School of Medicine’s diversity programs, including Summer Scholars. He said the growth is partly by design and partly out of necessity to meet a growing need. The solution was to expand the program by adding a third two-week session and allowing in more first-time participants. Previously, all students in the program for the first time were in the Summer Scholars group, and those returning for a second year were in the Advanced Summer Scholars program. This year, one class of first-year scholars was made up of high school juniors and the other consisted of high school seniors. Students returning for a second year of the program still participate in the Advanced Summer Scholars program. Prior to starting the program, students and parents from all three groups participated in an orientation session. The full two-week session for juniors begans Monday, July 10, with seniors starting a week later and the Advanced Summer Scholars beginning the week after that. Each year, Summer Scholars receive daily instruction in academic areas such as chemistry and language arts, and study anatomy and physiology in the school’s cadaver lab. Classroom experiences range from medical terminology and understanding health disparities to ACT and standardized test taking. Summer Scholars also experience different medical services such as emergency and outpatient medicine, rehabilitation, and nursing, as well as surgery. The advanced program includes a research component and additional experiences in various clinical rotations. Summer Scholars prepares students for a career in health care by helping them build a foundation for success in multiple areas including interview skills, study and test-taking strategies, and interpersonal and communication skills. 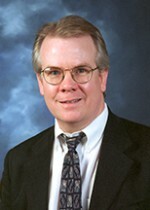 A faculty member who has devoted a large portion of his clinical career to serving low income adults living with or at risk of HIV and AIDs and a student organization reaching out to serve impoverished citizens, underprivileged children and those at risk for Hepatitis B have been selected as winners of this year’s Excellence in Diversity and Health Equity in Medicine awards from the School of Medicine’s Office of Diversity and Community Partnerships. The awards recognize individuals and organizations for their demonstrated and sustained contribution to diversity, inclusion, cultural competency and health equity. Jim Stanford, M.D., associate professor of internal medicine and Blue 5 Docent, is an infectious diseases expert who has served as research director for the Kansas City AIDS Research Consortium, provides care for HIV positive patients, and works with endocrinologists at Truman Medical Center to provide quality care in a culturally appropriate way for transgender patients. Stanford’s clinical practice at TMC provides care for a growing number of patients who experience significant health disparities due to conditions that include mental illness, substance abuse, poverty and low health literacy. Student members of the Asian Pacific American Medical Student Association (APAMSA) take part in a health fair. The school’s Asian Pacific American Medical Student Association was selected as the student organization award recipient for its work with local Vietnamese, African American, India, Sri Lankan and Pakistani communities as well as the Kansas City African Chamber of Commerce that serves residents from 34 African nations. With more than 150 student volunteers, including undergraduates to Year 6 medical students, the organization has fostered a successful, diverse environment of education and learning. Through their coordination and participation in events during the year such as free health fairs and the wordwide Hepatitis Awareness Month, students have provided health care services for the community while also gaining teaching and role modeling experiences. This year’s awards will be presented in September during the annual faculty promotion and tenure recognition reception.